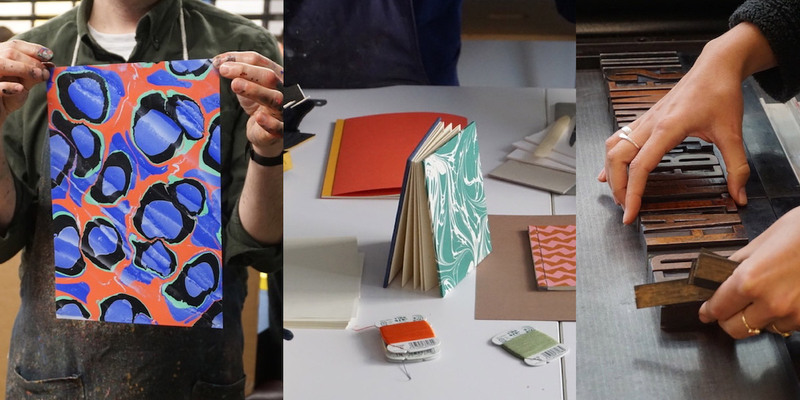 We run a wide range of practical, hands-on workshops every weekend at the London Centre for Book Arts. The classes are taught by experts and range from traditional bookbinding, box & portfolio making, letterpress & Risograph printing, to self-publishing. Find out more by visiting our Workshops page.